How to Clean a Nonstick Grill Pan? 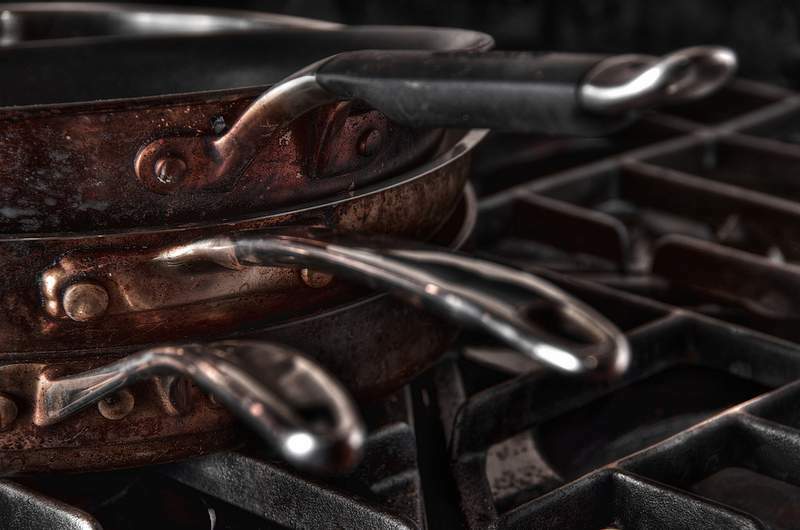 Home » How to Clean a Nonstick Grill Pan? There are lots of grill marks created by the grill pans and that’s why you have to clean them properly for enhancing its life. Furthermore, a grill pan provides an easy to clean surface if they are maintained in a proper way. There are lots of methods through which this cooking utensil can be cleaned and we will tell you about all of them in detail. Check out this complete post and select the one that suits your need best. The biggest headache in a pan is to clear out the layer of oil. In order to do that, you have to fill it with the water and then add a half cup of vinegar in it. Then, boil the mixture for some time and you will find that the layer of oil will reach to the top. Eliminate the oil and then dispose the water from it. Now, just clean the pan with warm water and then rinse it completely. At last, dry the utensil with a soft piece of cloth. If you follow this method, then there is a greater chance that you will be successful in eliminating any kind of residues from the pan. For completing this process, you need things such as baking soda, dish soap, non-abrasive nylon scrubber, and water. There is a thick layer of residue collected on the non-stick pans due to the sprays and grease. You have to begin the process by making a paste by mixing water and baking soda. Spread this paste on the affected area and leave it for some time. Now, use a nylon scrubber for scrubbing the surface of the pan. Here, the baking soda will work as an abrasive for removing the residue safely without putting any damage to the pan’s surface. It is strongly advised to buy a high-quality product. Don’t forget to wash the pan with soap and water after removing residue. The non-stick pans are created for cooking without oils. If possible, try to avoid cooking sprays because they create a thick residue that is very tough to get eliminated. You should never cook food on a high heat in a grill pan as it can result in discoloration or thick stains. Don’t forget the fill the pan with water if you can’t wash it straight away after cooking. It will stop residue from getting dry. The surface of non-stick pans are usually very delicate that can be eliminated by using a harsh cleaning. That’s why you should stay away from the abrasive scrubbers. If you implement the above-mentioned methods quickly, then there is no chance that any type of residue or grease will stick on your pan. Furthermore, these bits of advises can be extremely helped for the people who use a grill pan frequently.